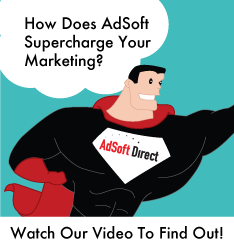 Andrew is a key part of AdSoft Direct’s daily data cleansing and mail operations. Andrew reviews, standardizes, imports, processes, and outputs hundreds of disparate databases every month as he pushes them through our proprietary back-office data management platform. The final result is super-clean data and reports that we distribute to our clients every day. He makes sure our nationwide network of facilities receive all of the correct assets on time, every time to ensure flawless production and delivery of our customers’ campaigns. On his free time you might find Andrew on the ice at your local hockey rink playing pick-up games and scoring goals. Certainly a good way to relax after pouring through data and spreadsheets.